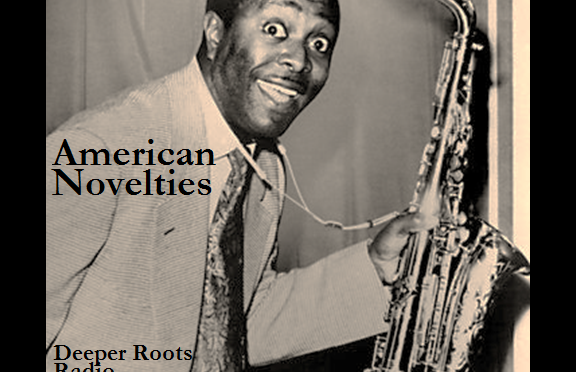 It’s popular in just about every form…well, not so with gospel…but it’s tradition goes back to minstrelsy: the song that has a humorous hook or a running joke to share or maybe a bandleader who takes us into new a ridiculous territories. 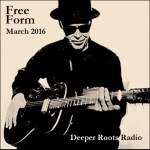 We’ve got a lot of novelty tunes of this nature to bring you this week on Deeper Roots… a bit of a departure from our normal fare but it’s all for the fun. 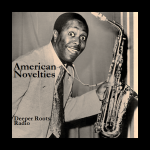 We’ll hear country sounds from Johnny Cash and Roger Miller, tearjerkers and rock therapy from Mabel Scott, The Chips, and Tiny Hill, and some classic novelty sounds from Danny Kaye, Spike Jones (of course), and Fats Waller. 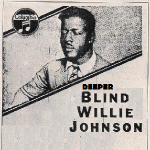 Blind Willie Johnson’s music seems to resurface through discovery with each generation and understandably so. Because tied to the meager catalog of thirty songs that he recorded over some four sessions between December, 1927 and April, 1930, is a dark and foreboding voice in the night. Its glow is that of a solitary candle in a room of shadows in a house whose bones have fallen to derelict and decay. Willie is telling us to take notice. 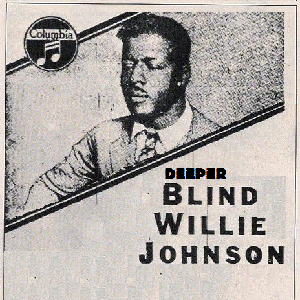 The story of Blind Willie Johnson was best transcribed in Sam Charters’ introduction and liner notes for Columbia’s Roots & Blues Series’ “The Complete Works of Blind Willie Johnson”. 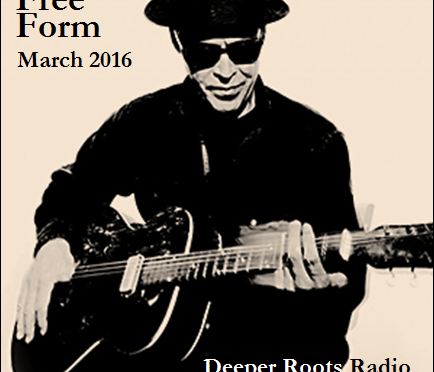 We’ll go a bit deeper, dedicating our two hours to Blind Willie Johnson featuring tracks from the new tribute album “God Don’t Never Change: The Songs of Blind Willie Johnson”, some classic recordings of Blind Willie, as well as covers of every stripe and style. 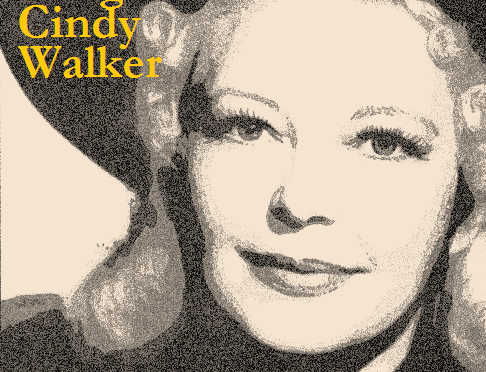 Enduring and prolific…country and pop songwriter Cindy Walker’s name is not as familiar to many but her music certainly is. She wrote early western-flavored pop and country swing pieces for performers like Bing Crosby and Bob Wills, composing hits for Hank Snow, Gene Autry, Al Dexter, Eddy Arnold, and others…almost owning the country charts in the 1940s. Her music endured well into the sixties and seventies, covered by Roy Orbison, Ray Charles, and dozens more. Her custom was to rise early and write songs, typing her lyrics on a pink-trimmed manual Royal typewriter while her mother, Oree Walker, would work out the melodies to her daughter’s words. They would station themselves in Nashville five months out of the year to help market the music, returning home to Mexia, Texas where Cindy would live out her life. 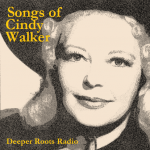 Join us on a special run of Americana: the songs of Cindy Walker.